The second funding round for the Community Business Bright Ideas Fund opens tomorrow (19th April), offering grants of up to £20,000 to help community groups to get their business ideas up and running. The two-year programme aims to invest around £1.85m in community businesses over two years, supporting around 80 community groups working in England by providing up to 15 days of tailored support along with the grants to develop their business ideas. The Community Business Bright Ideas programme is jointly funded by Power to Change and the Department for Communities and Local Government, and will be delivered by a consortium including Co-operatives UK, Plunkett Foundation and Groundwork UK, led by Locality. Community groups have until 31st May to apply for this round of funding, with additional funding rounds to follow in September this year, and February 2018. The money can be spent on costs to help a business become established, including legal and registration fees, training, knowledge and skills exchanges, and can also be used on activities including community engagement, and market research. More information on the criteria for applications, as well as how to apply can be found on the My Community website. Forty-nine groups received funding in the programme’s first round, sharing £695,000 in grants, and an additional £234,000 in business development help. These included Harlesden Letts, which aims to bring more affordable rents to the Harlesden area of London, The Playground, which wants to bring youth facilities back to a deprived seaside town, and Inside Workout, which wants to provide a community gym to help address gang activity in Manchester. Food and drink retailer and distributor A.F. Blakemore is marking its centenary with a 1917 Heritage Grants Scheme to support good causes across its trading area. The company’s charitable trust, the Blakemore Foundation, will award a number of one-off community grants worth £1,917 each to good causes across England and Wales. The grants must be used to sustain good causes for the long term, for example providing funding towards new buildings, specialist equipment, refurbishments or learning programmes. “The 1917 Heritage Grants Scheme has been launched with the primary aim of supporting good causes in local communities. The Blakemore Foundation was established by the Blakemore family in 1992. Since then it has donated more than £1.7 million to good causes across the company’s trading area, which stretches across central England and all of Wales. Local charities and good causes including social clubs, sports clubs, community groups, schools, hospitals, family associations, hospices and environmental projects have all benefited. Applications to the 1917 Heritage Grants Scheme must be received by 28 July 2017. The Pink Ribbon Foundation's mission is to fund projects and provide financial support to UK charities which relieve the needs of people who are suffering from, or who have been affected by breast cancer or who work to advance the understanding of breast cancer, its early detection and treatment. Grants of up to £5,000 are available for revenue, capital or project costs. To relieve the needs of people who are suffering from, or have been affected by, breast cancer by providing, or assisting in the provision of, information, care or emotional, practical and financial support. To advance public education in the understanding of breast cancer, its early detection and treatment, in particular but not exclusively by commissioning, or conducting, research into the causes, detection and treatment of breast cancer and by disseminating the results of such research. The Foundation is keen to support initiatives which promote a positive view of living with breast cancer. The Foundation will consider applications from general cancer charities if any grant made will be used to benefit those suffering from, or affected by, 50% of patients that suffer from Breast Cancer or for research into, or the dissemination of information about, breast cancer. The Foundation welcomes applications from all ethnic and minority groups. The deadline for applications is 26 May 2017. Macmillan Cancer Support has the overall aim of improving the lives of people affected by cancer, by providing practical, medical, emotional and financial support. The Supporting You to Help Others grants programme can fund cancer self help and support groups and their activities and user involvement projects and associated activities. Applications are welcomed from groups and individuals that contribute to achieving Macmillan’s Inclusion Vision. Start-up grants of up to £500 to support the start-up of a new self help and support project for people affected by cancer. Development grants of up to £3,000 to improve the sustainability or increase the reach of existing self help and support groups or projects that have been established for 12 months or more. User Involvement Grants of up to £3,000 to encourage the involvement of people affected by cancer in the design and improvement of cancer services. Individual Development Grants of up to £500 to enable people affected by cancer to develop their skills and use their cancer experience to help support others affected by cancer. A maximum of £500 for projects that have been running for less than 12 months. A maximum of £3,000 for projects that have been in existence for more than 12 months. There are two funding rounds left for 2017. The next deadlines for applications are 21 April and 4 August 2017. The Heritage Lottery Fund (HLF) has issued a statement that from September 2017 it will no longer be providing funding for places of worship through its Grants for Places of Worship programme. Instead, HLF funding will be provided through the existing Our Heritage (grants of up to £100,000) and Heritage Grants (up to £5 million) programmes. Introduction of a faster, single-stage application for grants up to £100,000, rather than the old two-stage process under Grants for Places of Worship. Greater flexibility, allowing for a wider range of activities and capital works than under the current scheme, although projects that have a focus on much-needed repairs will still be welcomed. 100% of works and activities can be funded with no requirement for partnership funding. 50% of the grant will be paid up front which will help the applicant’s cash flow. For larger schemes, more money will be available for individual places of worship. The Grants for Places of Worship awards were limited to £250,000 per application. Under Heritage Grants, applicants can apply for up to £5 million per application, and can receive help to develop their final proposals between the first and second rounds. Places of worship have two more opportunities to submit applications to the Grants for Places of Worship scheme before it closes to new applications on 1 September 2017. The remaining deadlines for new application are 5 June 2017 and 21 August 2017. Edge Fund is a grant-making body with a difference. We support efforts to achieve social, economic and environmental justice and to end imbalances in wealth and power – and give those we aim to help a say in where the money goes. The Nuffield Foundation is a charitable trust established in 1943 by William Morris, Lord Nuffield, the founder of Morris Motors Ltd. It aims to improve social well-being by funding research and innovative projects in education and social policy, and building research capacity in science and social science. Grants are mainly made or research purposes (usually carried out by universities or independent research institutes), or for practical innovation or development (usually in voluntary sector organisations). o The finances of ageing. The Foundation’s three main grant programmes (Children and Families, Open Door and Law in Society) are currently open to application, each with a deadline of 3rd July 2017. Not-for-profit and charitable organisations may apply for a grant of between £10,000 up to £350,000. Most awards tend to be in the range of £50,000 and £200,000. The Foundation also considers larger grants but these are exceptional and take longer to process. It also occasionally makes smaller grants for research and development pilot work that may cost less than £10,000. Most projects funded are under four years in duration. o Partnership formation and dissolution and the consequences for childhood outcomes, for example the impact on family resources or the arrangements for child maintenance and parenting. The Foundation is especially interested in ensuring there is better information about the contribution that fathers and other co-parents make to parenting, given that they are missing from, or under-represented in, most of the relevant surveys (such as Understanding Society and the birth cohort studies). o The extent to which social segregation in early years provision may reinforce social and economic inequalities, and whether more can be done to improve access to, take-up of, and parental engagement with early years education by the most disadvantaged groups in society. o The operation and design of the wider system, including the configuration of children’s services; the quality and professional development of the children’s services workforce; and how effective interventions can become embedded or scaled up. There are a number of exclusions, which are listed under the detail for the Foundation's Open Door programme in the column to the right and on the Foundation's website. There are currently two grant application rounds each year. The next deadline is Monday 3rd July 2017. Application is by application form. Full details can be found on the Foundation's website. The Garfield Weston Foundation has launched its new website, aiming to make the process of applying for funding as straightforward as possible for potential applicant charities. 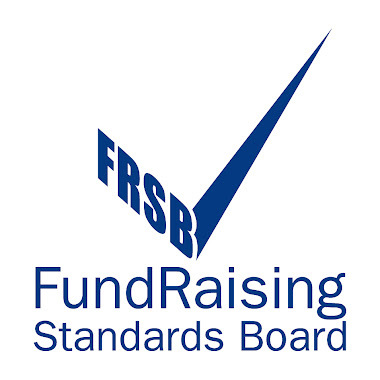 The new mobile-friendly website, which was launched at the end of last week, features examples and guidelines on many of the aspects of applying for funding that charities find most challenging according to the Foundation's feedback and experience, including presenting fundraising plans and charity finances. Clear guidance has also been provided on core costs. The Foundation's previous research and experience has shown that there is confusion in the voluntary sector over the scope and availability of core costs funding. New advice on the website aims to help clear up these uncertainties using clear guidelines and case studies. Philippa Charles, Director of the Garfield Weston Foundation said, 'The Trustees understand how challenging and resource-intensive fundraising can be in today's voluntary sector. We aim to ensure that applying for funding is as straightforward as possible, and that charities receive the right advice in filling out their applications. 'We have listened to feedback from our applicants and have strived to make our guidance on applying for grants online even clearer, as well as making sure our website is easy to navigate and completely accessible. 'We hope the new guidance will be helpful to charities in applying not only to the Garfield Weston Foundation, but also to other potential sources of funding'. The Garfield Weston Foundation is a family-founded charitable grant-making foundation which supports a wide range of causes across the UK, today donating around £60million per year. Sport - The Trust is keen to support volunteer-based projects, particularly from ethnic minorities and people with disabilities. In addition, the Trust recognises the difference that coaching can make to the development of a sport and is keen to fund equipment and coaching costs if the need has been clearly identified. The Arts - The Trust aims to give more people the opportunity to enjoy the diversity of performing and visual arts in Wales. The Trust particularly favours proposals which expand and improve arts provision in parts of the country less well served than others and will give priority to organisations which strive to work together to share experiences, practices and ideas. The Environment - The Trust encourages applications relating to recycling, developing green spaces, the development and promotion of green practices and the promotion of public transport schemes. Projects that improve the quality of Wales' environment, protect and create a vibrant countryside, and develop and promote sustainable land use planning will be a priority for support. The Trust aims to fund programmes that protect and enhance Wales' natural heritage and promote its sustainable use and enjoyment in a way which contributes to local economic prosperity and social inclusion. The Community - The Trust will give priority to organisations that are looking to tackle social, personal, economic or cultural barriers within their own communities. In particular, projects that lead to greater independence and give people more control over their lives will be given priority. The Trust welcomes applications that give people a voice to express their needs and hopes. The Trust is keen to help disabled people to challenge barriers and to be active and visible in their local communities. The deadline for applications is 1 July 2017 (12 noon). The aim is to support local projects, the length and breadth of Wales. As a generalist grant maker they will seek to reflect the needs and demands of those who apply, but initial emphasis will be on general social needs, on the arts and creativity and on educational projects. The small grants scheme is open for applications for sums from a few hundred pounds up to £10,000. Applications are made via an online form, and you may be asked for certain supporting documents depending upon the nature of your request. These will usually include a copy of your organisation's constitution, accounts or other financial information and, where relevant, details of your arrangements for safeguarding children and/or vulnerable adults. 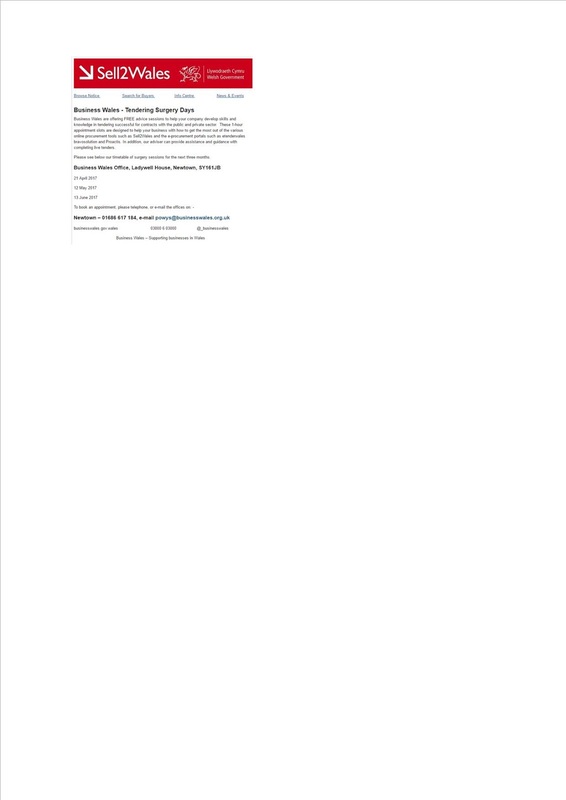 Please read the application guidance notes before filling in your application form. If completing the online form is difficult for you please contact us by email and we will arrange an alternative method that suits your needs. Details can be found on Contact Us. Comic Relief are inviting proposals which effectively build relationships with young people between the ages of 10 and 20 years old from disadvantaged backgrounds who do not currently participate in youth social action in their own community and which engage those young people in creative and meaningful youth social action. Last year 42% of 10-20 year olds took part in meaningful youth social action like campaigning, fundraising and volunteering, spreading positive ripples around communities across the UK. For people taking part, youth social action creates opportunities to learn, be recognised for their contributions, and improve networks between peers and communities. There is also evidence that it may help with employability of young people. Yet there is still a gap in the level of youth social action undertaken by young people from less affluent backgrounds. Comic Relief has partnered with the #iwill campaign, match funding to create a £2.4m pot to target young people from less affluent backgrounds not taking part in youth social action. #iwill is a UK-wide campaign aiming to get 6 out of 10 young people involved in social action by 2020. Big Lottery Fund and the Department of Culture, Media and Sport have each invested £20 million to support young people access high quality social action opportunities. The application process will be will a one stage process and we will be open for proposals from 10th April to midday on 12th May 2017. In the proposal form we will request a short (max three mins) film on the project. Once we receive your proposal, we’ll initially check whether your organisation and proposal are eligible for funding under this initiative and then shortlist the strongest proposals to go through for a full assessment. Young people who have co-developed the grants initiative to this stage will help with the shortlisting process. We’ll aim to notify all applicants of our decisions at this stage in June 2017. If your proposal is unsuccessful at this stage, we’ll be unable to provide any additional feedback due to our limited resources. Assessments on the proposals which pass this stage will take place over June and July 2017 and final decisions will be made by our Grants Committee and Trustees. We also expect that young people will conduct interviews on youth leadership during the assessment process. We aim to inform all applicants of the final decision in early October 2017. If your proposal is unsuccessful at this stage we’ll write to you explaining the reasons why and may offer further feedback by phone. The Ministry of Defence (MoD) is currently accepting applications to the Families in Stress priority of its £10 million per year Covenant Fund. Local charities, branches of national charities and/or community interest companies that provide specialist services may apply for a grant of between £20,000 and £300,000 for projects lasting between 2 or 3 years. Beneficiaries should be the families of serving personnel based either in the UK and overseas, or both. Wickipedia provides what looks like a fairly comprehensive list of British Army bases. The item can be found HERE. The lead organisation must work in close partnership with one or more armed forces bases, and must be able to provide evidence of real engagement and partnership working. The funding is for projects that support families of serving personnel who are experiencing a significant stressful life event and would benefit from an intervention from a provider who can offer specialised, localised (or easily accessible) and immediate support. PLEASE NOTE: this priority will not fund capital schemes such as play parks or projects that extend to the families of veterans. o Demonstrate an understanding of the diverse nature of service families (eg. geographically dispersed, deployment status, accompanied/unaccompanied overseas, single parents, single service personnel (where the family may be a relative such as parent), reservists, foreign and commonwealth personnel and their families, Service children and those with caring responsibilities etc.) and offer immediate and/or easily accessible support. The deadline for Expressions of Interest is midday on Monday 26 June 2017. For further information about the Covenant Fund and how to apply, visit the GOV.UK website. dwys ar ddulliau llywodraethu da. o Residents in long stay hospitals or nursing homes who share a garden. PLEASE NOTE: applicants are required to become a member of the Trust's Garden Club. There is no charge for membership, however. The Trust attempts to raise around £30,000 each year through its own fundraising efforts. Funds are then distributed in the form of grants. Awards tend to modest and rarely exceed £1,000 per applicant. o Provide information on garden aids and techniques. Funding is not available for general maintenance, clearing or fencing. If possible, successful applicants are asked to take a photograph of the completed work and send it to the Trust together with a receipt for the work done. For further information about the work of the Trust is available on its website. A. Large Grants of over £5,000 can be awarded to charities for a specific purpose. Reasons to apply for a Large Grant can include funding salary , project costs and/or refurbishment costs. PLEASE NOTE: new build or large scale capital development projects cannot be considered. Funding may be granted for up to three years, where there is evidence of an on-going need for funding. Charities must have an annual turnover of over £500,000 to apply for a Large Grant. B. Small Grants of between £500 and £5,000. These grants can be used for core expenditure such as general running or overhead costs of the charity. Charities with an annual turnover of under £500,000 can apply for a Small Grant. o Supporting care needs, including respite care. o Learning opportunities for disabled children and young people. o Education and training programmes for ex-service personnel. o Umbrella organisations coordinating fundraising on behalf of others. Small Grants applications are open on a rolling basis. Applications for a small grant should be submitted on or by the third Friday of each month. There is a two-stage application process for the Large Grants programme for grants of more than £5,000. The first step is to complete an Enquiry Form which will be reviewed. Those who are successful at this stage will be sent a formal application form. An application form for the small and large grants programme can be downloaded from the Foundation’s website.